This was a weekday escape. The prospect of an entire week at work was unacceptable. So, I got up at 6:10 AM on Monday morning and drove with the bike up to Union Station in DC, put the car in the parking garage, and took off from there about noon. DC to Baltimore by bike is at least fifty miles. I punted on the return ride. Monday I did cycle DC to Baltimore, where I spent the night. 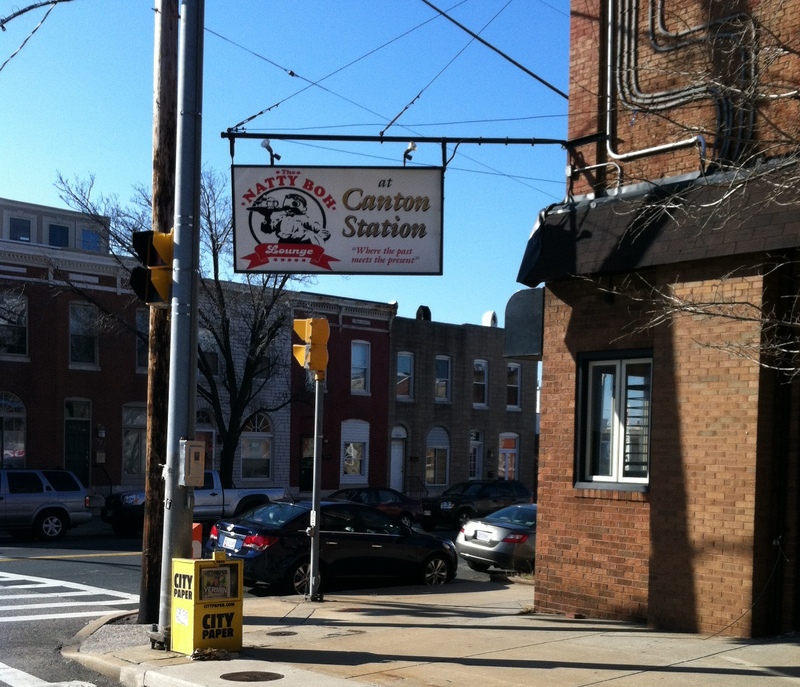 The next morning I cycled around crabtown, and then took then commuter train back to DC. I drove from DC back to Carrboro in time for dinner on Tuesday. I had heard many years ago that people from Baltimore had an immense distaste for DC. While I am sure that is still true, being close to DC is unquestionably good for the otherwise morbid Baltimore economy. But these cities frequently look and feel like different planets. Even compared to Penn Station in Manhattan, the crowd at DC’s Union Station, for a train station, looks upscale. It is not only that people are well dressed, but they are clearly dressed for WORK. White collar work. A majority of the crowd would pass as a lobbyist. No one remotely looked like they were having a good time. Clearly the Republicans have a point when they say that DC is the current place to make money. We all know that any address “we” have ever been to in the District ends in the initials “NW”. For this ride, I head off in the direction of “NE”. I hardly saw any white people for the next ten miles or more. Except for this racial issue, the ride along Rhode Island Avenue was uneventful. I am sure there are serious slums in some parts of DC, but it did not look this way on this route. If you like urban cycling, this mostly was quite pleasant; the road was wide enough to keep from getting run over. The road crosses the line into Maryland and the city continues for quite a while. Eventually the cityscape peters out. Clearly this is the side of town for unwanted stuff, because for the next few miles I passed a succession of car junkyards, garbage truck depots, and the Maryland State Women’s Prison. I even (in Maryland!) passed a ranch house with a confederate flag out front, stenciled with the words REDNECK. But slowly this evolves from DC suburbs to Baltimore suburbs, and you start to feel the Baltimore vibe. This is an old city that is set in its ways. 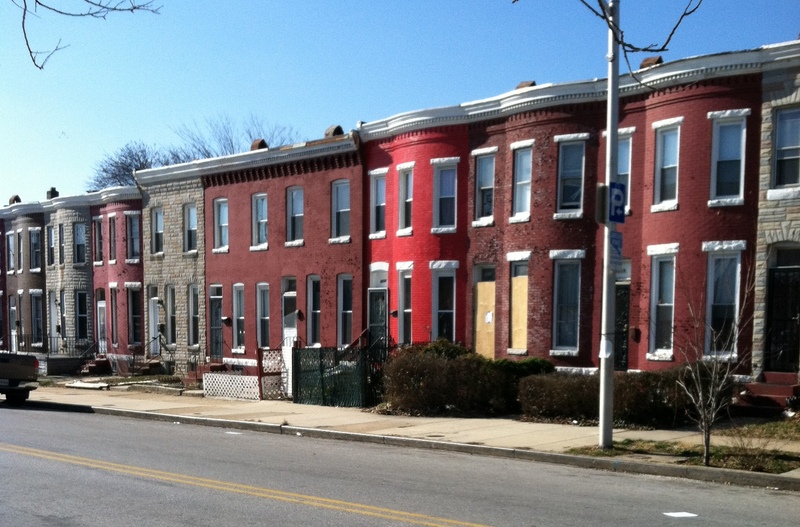 Almost abruptly, you arrive into a dense city of red brick row houses. I stayed near the Fell’s Point neighborhood, and had a nice evening eating healthy food at the bar a Greek restaurant. What more can I say about Baltimore? I did see the old National Brewery, which is now a condo complex calle (seriously) Natty Boh Towers, after National Bohemian beer. A bar across the street had the same name. Where are the pictures. I can’t read a story without pictures:) I think you are very adventurous to do this during a work week.